It is time for the first major of 2019, and arguably the most popular tournament of the golfing calendar – The Masters. The patrons will flood into Augusta to get a glimpse of the world’s best players, whilst also enjoying the picturesque layout. Amen Corner, The Azaleas, Rae’s Creek all of these things contribute to a course that looks spectacular on the television and presumably even better in person. Whilst it may look wonderful, it is the scene of many a heartbreak and it requires a golfer’s very best to compete here and claim one of if not THE most coveted prize in golf. Not only do you win a major championship, but you also get to take away the exclusive Green Jacket, something all of the past champions continue to wear with pride. The Champions’ Dinner and the Par 3 Contest add another layer of excitement to an event entrenched in rich traditions, and whilst many may say golf has moved on, there is still something about this event that gets the juices flowing more than any other event. The course generally remains the same test year-on-year, it’s something the pro’s and fans rely on, however ahead of this year’s renewal there has been a key change to one of the harder holes on the course. The Par 4 5th constantly plays as one of the toughest holes on the course (5th toughest historically), and it’s going to be an even tougher prospect this season. Originally a 450-yard Par 4, which required an uphill dogleg left tee shot, with bunkers in play, it has now been lengthened to 490 yards, and will require a 310+ yard carry uphill to clear the bunkers. This is going to put a significant emphasis not only on the second shot into this hole, but also a big tee shot and there is bound to be a ton of bogeys there this year. As The Masters is the only major to use the same course every year, some fairly dependable trends creep in, which should help us whittle down our shortlists. Firstly, a sub-70 round on a previous showing is an almost essential prerequisite to winning here. Both Jordan Spieth (2015) and Danny Willett (2016) have won without shooting a sub-70 round in a previous Masters, but they were both making just their second start in the event. Those that have played here more than twice and still haven’t broke 70 may have the odds stacked against them this week. Each of the last five winners have had a win or a 2nd place finish in the same calendar year of their Masters victory, so this major certainly tends to favour those in red-hot form, as opposed to allowing players to find their best here. These are two of the more solid trends in my opinion and ones that should be respected the most, but there’s also the suggestion that World No.1’s struggle to win here, with no player at the peak of the World Rankings winning here since Tiger Woods did it in 2002. Given Justin Rose’s record around this course and his recent victory at Torrey Pines, it’s difficult to make too much of a case against him, based on this trend alone. 40+ year-olds don’t tend to win here either, with Mark O’Meara (41) the last to do it in 1998. This would rule out a lot of players who can make a really strong case and one big name in particular, Tiger Woods. To me it is important to not get too caught up in these trends, as well the facts are hard to argue against, this is still golf and nearly every week something unpredictable happens, so it would make little sense to put all eggs in the trend basket. Here are how the last five winners have ranked in Bogey Avoidance, Par-4 Performance and Par-5 Performance en-route to winning their Green Jacket, showing why I am focusing on these areas. I would consider Reed’s ranking of 14th in Bogey Avoidance a bit of an outlier, especially as he led the field in both Par 4 and Par 5 Scoring, making up for any errors that way. Danny Willett was less than impressive on the long holes in 2016, and Sergio Garcia also ranked outside the top-5 but again Par 5 Scoring seems important. Par 4 Scoring is probably the most imperative for me and in particular efficiency from 450-500 yards, as there are 7(!!) holes that fall between that yardage this week. Greens in Regulation is also key, with Reed (21st) the only winner of the last five not to rank inside the top-6 for GIR the week they slipped on the famous jacket. Given the strength of trends and statistical fits here, you can get a very good understanding of what it takes to win here, which aids research immensely. Of course picking the winner is always going to remain a difficult task, but the numbers certainly remain consistent at Augusta. I put Rose up as my headline selection 12 months ago, and he features again this year, for almost identical reasons. Rory McIlroy has put together a fine run of form in 2019 and his win at the Players was particularly impressive, but if it wasn’t for his run I’d say there was no more obvious pick than Rose for this event. I favour the latter again for this event, especially at almost double the price. Rose has finished no worse than 14th in his last five Masters starts, and has twice finished runner-up in that span. In 2017 he was cruelly denied by fellow European Sergio Garcia and the suggestion was that heartbreak would be too much to take, but he was solid enough again last year, when 12th, despite added expectation. All in all, Rose has played at Augusta 13 times and made the cut on every occasion, never finishing worse than his 39th place effort on debut in 2003. This level of consistency is so typical of Rose’s career to date and epitomises why he has risen to No.1 in the World Rankings, where he will sit again this week. A very important stat this week is Bogey Avoidance and Rose ranks 7th in that category on the PGA Tour this season. Par 4 scoring average is also important given there is seven Par 4’s over 450 yards here, and he ranks 9th in that category. Sadly Rose ranks 49th in Par 5 Scoring Average and an alarming 156th in Greens in Regulation, but such is his qualities I believe he can overcome these statistical weaknesses this week, on a course he adores. Luckily for Rose, he has been Scrambling incredibly well, so his sub-par GIR numbers are having less of an impact, and if he can just find the putting surface in regulation a bit more regularly this week, he’s going to be very dangerous. 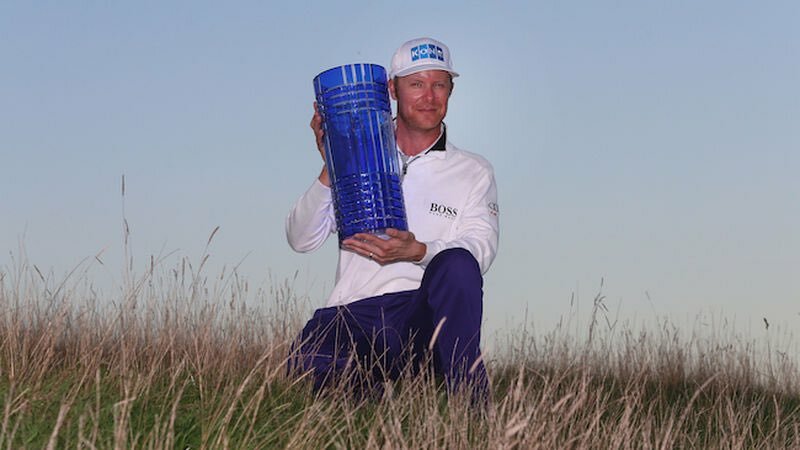 With a win at Torrey Pines already under his belt this year, Rose fits the trend of having a win or a 2nd in the calendar year, and this certainly feels like the win that would leave him feeling complete once he rides into the sunset. 14/1 is not big by any means, but you can hardly expect any bigger given his form both on this course and in the world of golf over the past few years. We have already discussed one player that seems destined to win at Augusta in their career in the form of Rose, but another player who makes similar claims is Rickie Fowler. The 30-year old is yet to win a major, but he has top-3 finishes in each of the four, with runner-up finishes in three, including here. His best effort came 12 months ago, when he chased Patrick Reed down with a tremendous Sunday charge, shooting 67 to come up just one stroke shy. 65-67 over the weekend shows he clearly had the bit between his teeth last year, and his form this season suggests it could be a similar case this week. A winner already at the Phoenix Open, another event that he previously eluded him, Fowler certainly seems to repeat performances on his favourite courses, and this one of them. In addition to his victory in Phoenix, Fowler finished 2nd at the Honda Classic, 4th at the Shriners and 5th at the Hero World Challenge, making it a very promising start to the season. There have been some disappointing efforts, notably when T66 at Torrey Pines and T40 at Bay Hill, but he put in another promising effort in Texas last week, finishing in a tie for 17th, with four sub-70 rounds. Last week was purely preparation so the motivation to win was barely there for Fowler if at all, and the golf he played for three of the four rounds there was certainly promising. Just one missed cut in eight starts here, Fowler clearly feels comfortable on this layout and four top-12 finishes in his last five suggests he’s now found the formula to contend as well. When 5th in 2014 he ended up some way short of the winning total, but he was so close to victory this time last year, and given his win in February I am confident he will go close again. Fowler ranks T4 in Par 4 Scoring Average and whilst that’s generally where the positivity stops statistically, I definitely think Fowler is in great shape this week, despite the numbers saying otherwise. The most important stat is where he finishes on the leaderboard, and a 1st and 2nd already under his belt in 2019 gives plenty of reason for optimism. There will be many that question whether 20/1 is value and its fair topic for discussion, but given his recent exploits here, including last year’s weekend charge, he’s certainly someone I want onside. Maybe turning 30 will be the making of him, as Phil Mickelson didn’t win a major until he was 33, despite being a regular winner on Tour. Despite an onslaught of criticism for his on and off course behaviour this season, there is no denying that Matt Kuchar is enjoying what could shape up to be a career-year for him. Two wins at the Mayakoba and Sony Open already under his belt, Kuchar almost made it three wins at the WGC Match Play, but was denied by a determined Kevin Kisner. Instead of taking a week off to prepare for another Masters, Kuchar headed to the Valero Texas Open, where he shot four rounds under par, to finish in a tie for 7th. Statistically speaking there is hardly a better candidate right now to don the Green Jacket than Kuchar, who ranks highly in every important category. 1st in Greens in Regulation, 3rd in Bogey Avoidance, 5th in Par 5 Scoring Average, 14th in Par 4 Scoring Average and 19th in Par 4 Efficiency 450-500 Yards,Kuchar knocks it out the ball park from a statistical point of view. Yes he would have to buck the trend of 40-somethings winning here, but he certainly has the game to become the first to do so since Mark O’Meara, and both Phil Mickelson and Angel Cabrera have won at 39 in recent years, so I see no reason why a 40-year old can’t compete. Kuchar’s game has been largely the same throughout his career, never being based on power off the tee, so it’s not as if he’s going to slow up dramatically with age. Kuchar has finished inside the top-8 at Augusta four times since 2012, including three top-5’s, with his T3 finish seven years ago his best effort to date. Just one missed cut (2002) in twelve appearances here shows you how comfortable this wily veteran is with this course, and it may finally culminate in a first major victory for him. Spieth had to pull out an all-world finish at Royal Birkdale to deny Kuchar an Open Championship victory two years ago, but he can finally enjoy major success this week. His 2nd at the Match Play and 7th last week, where he already had half an eye on this event proves his great form, heading into the first major of the season. 45/1 is too big given his obvious credentials here, and I think it is largely based on people’s dislike for him at the moment. This is one pick I debated for a long time, but in the end I feel like Leishman has made enough of a case to be included this week. The biggest negative for me regarding Leishman is I think he should do a lot better than he actually has around Augusta. After finishing 4th behind compatriots Adam Scott and Jason Day in 2013, much was expected of the Aussie. Two missed cuts on his following starts and then a 43rd in 2017, it looked like his 4th in 2013 may be a bit out of an outlying result. Last year though, expectation was high again as he was in solid form the year before, winning twice in 2017 and he went on to finish in 9th. He’s in a decent form once again, so the expectation is he can produce a similar, and hopefully better result this time around. A win at the CIMB Classic back in October kick-started his new season, and his next six starts resulted in finishes of T18-2-T4-T3-T43-T4. He was poor at the WGC Mexico (T62), and missed the cut at the Players but a T23 finish at the Arnold Palmer and three out of three victories in his WGC Match Play group suggest he’s playing well enough again. He was just beaten (2&1) by Louis Oosthuizen in the last-16 at the Match Play, but that allowed him an extra day of preparation for this week and he should have every reason to be confident. Leishman currently ranks inside the top-30 in; Par 4 efficiency 450-500 (4th), Scrambling (6th), Par 4 Scoring Average (14th), Bogey Avoidance (15th), Par 5 Scoring Average (26th) and Greens in Regulation (30th) so there is very little to worry about statistically. He has all the attributes to be a major champion and Augusta is often the scene of a player’s first major victory, something his mate, Adam Scott can attest to. Leishman had a front-row seat that week and he will be looking to be centre of attention this time around. At 50/1 and bigger in places, I think Leishman is a worthy candidate this week.